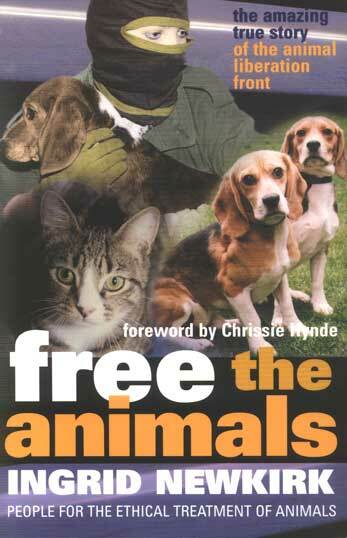 The shattering account of one woman's struggle against the forces supporting the abuse of animals, Free the animals! is an action-packed story of underground adventure, as well as an eloquent plea for the rights of animals. "A rare, exciting, and sure-to-be controversial glimpse into the international animal rights movement ... a must-read for activist, humanist, and historian alike." - Paul Harvey, Jr.
Ingrid Newkirk is president of People for the Ethical Treatment of Animals (PETA) and author of Kids Can Save the Animals!, The Compassionate Cook, 250 Things You Can Do to Make Your Cat Adore You, and You Can Save the Animals: 251 Simple Ways to Stop Thoughtless Cruelty.